After nearly four years, the zombie epidemic has almost burnt itself out. Gus' new life on a communal farm is peaceful. The daily routine of policing the fields is rarely disrupted by straying undead. His drinking binges are over. Long days have thrown time over the memories of Annapolis. But this will all change. Brutally poetic... quite the feat! Boomstick. Samurai bat. Motorcycle leather. And the will to live among the unliving. Augustus Berry lives a day-to-day existence comprised of waking up, getting drunk, and preparing for the inevitable day when "they" will come up the side of his mountain and penetrate his fortress. 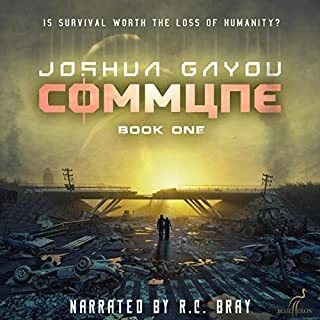 Living on the outskirts of a city and scavenging for whatever supplies remain after civilization died two years ago, Gus knows that every time he goes down into undead suburbia could be his last. Having been bolstered with the supplies sufficient to carry them through the winter, the survivors of the Jackson commune must now hunker down and endure the bitter Wyoming snows, while to the south, factions are beginning to form, coalescing from the ashes of the dead world. The survivors have come to settle in the mountains of Wyoming, fighting day in and day out to establish a home for themselves in a near-empty world. Things are good at first; scavenging is a workable, short-term solution that seems to be providing all they need. But they know that it’s only a matter of time before the food runs out. They need to scramble to find a sustainable solution before the clock stops, and for a little handful of people up in the mountains, the odds don’t seem very favorable. The last 30 mins were the best part of the book. The Sea Wolf sets out to search for the Metal Islands. Leading the expedition is legendary Hell Diver Xavier Rodriguez. After enduring a decade on the poisoned surface, his survival skills will be put to the test on the dangerous open seas. But storms, sea monsters, and the cannibalistic Cazadores aren't the only threat to X and his small crew. Their mission will uncover hard truths about the history of the war that left humankind stranded in the air for centuries. The fate of those still living on the airships might very well rest on this perilous journey to find a new home. 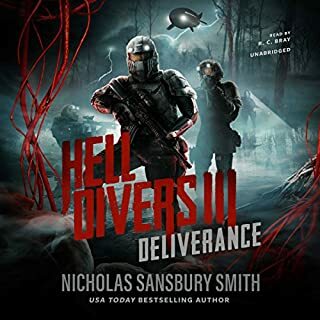 Left for dead on the nightmarish surface of the planet, Commander Michael Everhart and his team of Hell Divers barely escape with their lives aboard a new airship called Deliverance. After learning that Xavier "X" Rodriguez may still be alive, they mount a rescue mission for the long-lost hero. In the skies, the Hive is falling apart, but Captain Jordan is more determined than ever to keep humanity in their outdated lifeboat. He will do whatever it takes to keep the ship in the air - even murder. 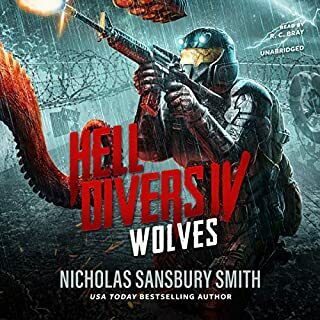 Ripped from the headlines, the explosive Trackers saga is a realistic depiction of what an EMP attack and the aftermath might look like from one of the genre's leading voices, USA Today best-selling author and former Homeland Security Disaster Mitigation Officer, Nicholas Sansbury Smith. 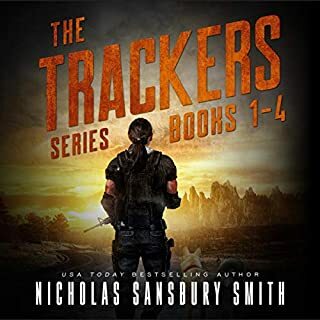 This box set includes the entire four-book Trackers series with over 30 hours of postapocalyptic survival fiction and action. Box set includes Trackers, Trackers 2: The Hunted, Trackers 3: The Storm, and Trackers 4: The Damned. Very enjoyable but books are short for the price. This is it. Alpha team goes once more into the breach. 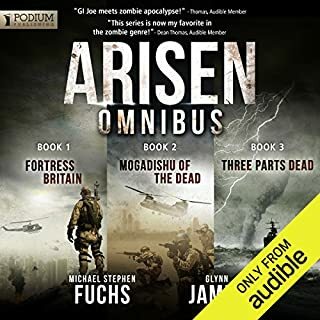 On what will be their final missions ever in the Zulu Alpha - and the fight of their lives — Homer & Ali, and Predator & Juice, launch out into the terminal post-Apocalypse, as London is overrun by the very last rush of death covering the entire planet. Neither mission can fail, but can all four teammates survive? Or will some go down safeguarding the lives of those they love more than life itself? 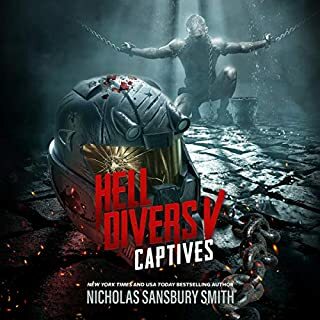 After a long, perilous journey, Hell Divers Xavier Rodriguez and Magnolia Katib discover the Metal Islands, a sunny, habitable zone where thousands of people live by fishing and farming. But this "paradise" is really a violent warrior society ruled by the cannibal King el Pulpo. For the first time in X's life, he is forced to lay down his arms and surrender. 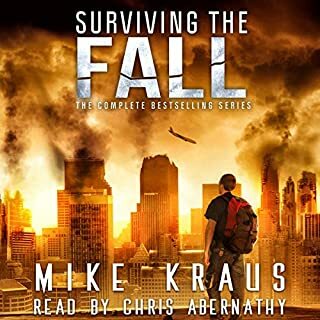 This complete edition of Surviving the Fall features all 12 books in the series, each one full of action, suspense, and drama, as Rick and Dianne struggle to survive the end of days. Once every year, in the city of Sunja, gladiators meet within the arena known as Sunja's Pit. Some men enter for the lure of fortune, some for the fame, and some simply for the fight. The games continue for days until a champion is finally crowned. Or until all involved perish. Four companions struggle to change their lives in and out of the arena as it becomes clear that to be a Free Trained pit fighter is to live with a mark on one's head. 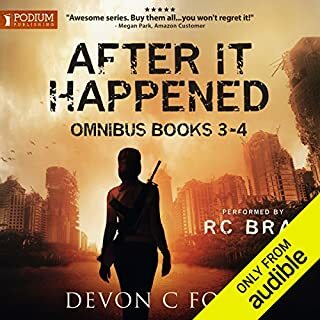 This publisher's pack contains Society (book three) and Hope (book four) of the After It Happened series. 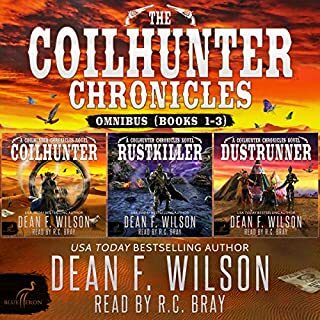 Three audiobooks from the Coilhunter Chronicles: Coilhunter, Rustkiller, and Dustrunner. Welcome to the Wild North, a desolate wasteland where criminals go to hide - if they can outlast the drought and the dangers of the desert. Or the dangers of something else. With the galaxy in tatters, Chhun and Wraith lead Kill Team Victory and the remnants of the Legion in a clandestine final effort to bring about Article 19. 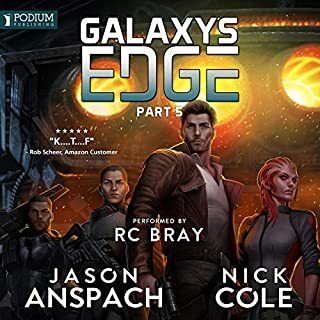 It's needed now more than ever as the Republic's new emperor, Goth Sullus, grows increasingly enigmatic and tyrannical in his rule, leaving some to question their roles in bringing the mysterious leader of the Black Fleet to power. After a long day of prepping a house for painting, all Gus Berry wanted was the night off to spend some time with his girlfriend and relax before having to return to work the next morning. But that isn’t going to happen. Because Gus’s co-worker Benny has found a one-night job at the local Mollymart East, a job that has to be done by morning. If Gus and his paint crew can complete the work by then, it could mean huge business with a respected, established grocery store chain. But as Gus and his fellow painters soon discover, the much-anticipated zombie apocalypse doesn’t start with a bang. It starts on a Monday. And barricading themselves inside a megastore isn’t the end. awesome prequel to a great series. after finishing the series it left me wanting. this added great back story to Gus. loved it... just like the rest of the series..I hope we someday get another installment.. 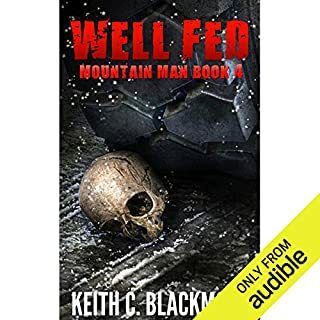 I have now listened to the complete Mountain Man series and enjoyed it immensely. 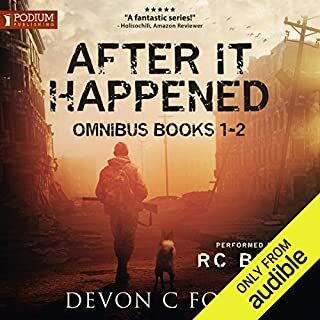 I am satisfied that I saved the prequel until last since having gotten to know Gus throughout the series, I developed a better empathy for him as he is introduced to and struggled through the beginnings of the zombie terror. Honestly, I strongly recommend all the Mountain Man books that are surprisingly well-written, engrossing and narrated wonderfully by R.C. Bray. 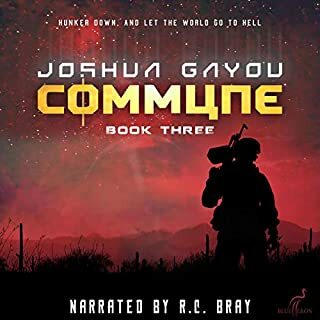 RC Bray is a great narrator. I buy books sometimes just to hear his voice. 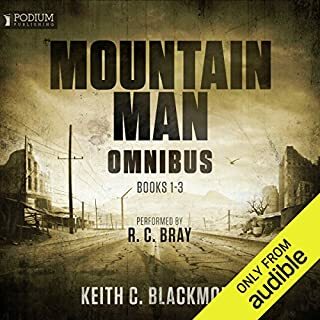 After listening to the short 'The Hospital' I could not help but pick up the omnibus of 'The Mountain Man' - Books 1-3. then I HAD to get book 4. then I HAD to get this Prequel!!! Such a good story, could not stop listening to it :). Love the performance by RC Bray on all of them! I highly recommend the entire series. This is a great listen! So starting off with this book I had my doubts, I liked the way it developed. As I was listening I was like why do these towns sound so familiar, not uncommon based on the fact a lot of English towns and towns from New England match up with Nova Scotia. Whaaaaaat! It takes place in Nova Scotia, WTF, It just made me love it more. I am an hour to two hours from where this book takes place, very familiar with the towns and the places listed. That was the part that made me love it more because I can picture these towns from being there. Great! If you don't have that benefit, it really does not matter because it is a great zombie listen. Enjoy. I loved the Mountain man Omnibus and Gus was my favorite character. This was a great prequel and got to learn about how it all started. This was a great way to get a little more background on how things got the way they were when we first meet our here in The Mountain Man. 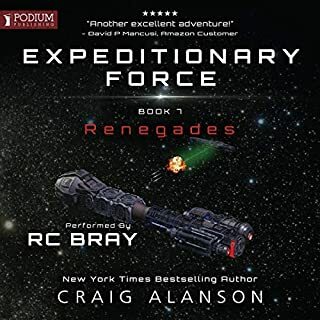 It’s a great story, well narrated by RC Bray once again, who for my money is one of the best in the game. If you liked the rest of the series, the prequel will be like catching up with an old friend. 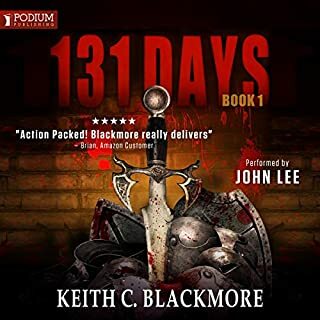 Keith Blackmore has done it again, and I thank him for giving us another great story of survival in world gone horribly wrong. I thought I got to know what shaped Gus in the short story “The Hospital.” "The Mountain Man Prequel" provides information never before mentioned about his past. What a treat to learn about his pre-apocalypse job, friends and girlfriend. Each had a profound impact on his identity and how he looked at the world during that time. This information answers a lot of questions about why he (most likely) coped and developed as he did during the rest of the series. Gus's self-deprecation is just so endearing, and love his what you see is what you get mentality... epitomizing the reluctant hero, who always mans-up when the chips are down. I would want him in my corner during an apocalypse, that is for sure. The dry humor which came out of Gus's mouth was infectious. The type of guy that would be fun to hang out with, and loyal to a fault... Proving this in his selfless actions and the lengths he went to find his girlfriend,Tammy. Nuff said! Makes me want to listen to the whole series over again. Its really awsome to see how the story starts for Gus! How awesome this series is and how awesome Gus is. Netflix, please make this into a series. I hope there is a second prequel between this one and book 1.. there seems to be room for one... about 1+ years worth before meeting Scott. I loved it... just when there was nothing out there I see this one and I couldn't be happier. RC Bray didn't skip a beat.. one of the best narrators out there. Great book with the best narrator on this planet!! I had always wondered how Gus got to where we was, now we know. We also get a look at the type of man Gus was before the SHTF. Great writing I was hooked from the start and having R C Bray narrate for you doesn't hurt either!! I loved the Mountain Man series, have listened to it a few times now. The story and narrator are great and it is easy to relate to Gus and the challenges he faces. When I read online that there would be no more books in the Mountain Man series I was quite disappointed. Then I saw this book was released and I quickly bought it and listened to it in one day. it didn't let me down, it closed the loop on a lot of back stories and provided the zombie fighting action that I enjoy. Thank you for writing this book! Please think about writing another Mountain Man book in the future. A perfect prelude to an excellent story. Narrator was excellent as always. If you enjoyed the other books, you'll enjoy this one.. I have now listened to the whole Mountain Man series. Heading back to start over again. Great story line and narration! I have not listened to any of the Mountain Man series so this is the beginning for me, not a prequel. This was such an exciting, scary, anxious, soul wretching and inspiring story I can't wait for this next; which I purchased well before finishing this one. And once again, I think I could sit through R. C. Bray reading the IRS Tax Regulation Code in its entirety. 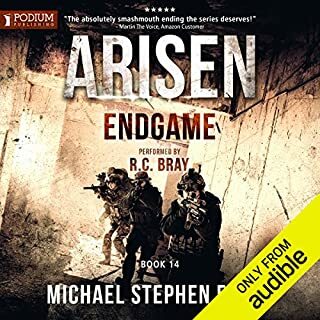 I've listened to several series read by Mr. Bray and don't think I have heard a duplicated voice yet! Thank you sir. 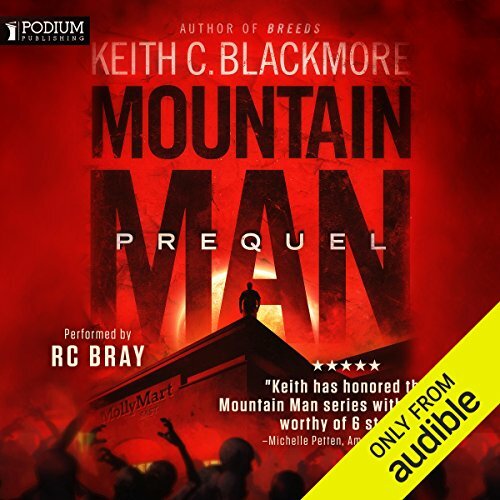 Man, Keith C Blackmore did not disappoint with the prequel for the Mountain Man book series. 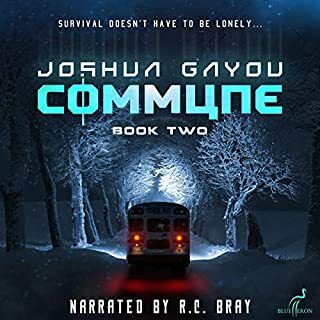 RC Bray who is my absolute favorite narrator made Gus Berry come alive again. The Book has some laughs, chills, and terror all wrapped in one neat package. I would listen to the store while going on my early morning walks and more than once would look over my shoulder thinking a zombie was coming out between a house to come eat me. Well Done Keith C. Blackmore and RC Bray! Bravo...Wish we could keep the Gus Berry stories going, but only if RC Bray keeps narrating the stories.